Over the years, Greg “Magick” Bernstein has assisted people to heal from numerous types of phobias and mental conditions, addictions, as well as help people find a partner, leave a partner, know and act from your higher self, helped professional athletes excel, helped people create wealth, find & live their life purpose, resolve fears, doubts, confusion, love oneself, awaken, experience true peace, become authentically self expressed and more. If you can think of it, he has likely worked with it and helped someone heal and resolve, awaken or achieve it. His early work in the 90’s was technique based. That was before his experiences with a number of Shaman and Kahuna deepened his other, more mystical abilities. These days his work varies from sharing deeply profound wisdom in a way that transforms you; to potent shamanic transmissions of healing and love that wake people up and resolve their deepest shadows & wounds. He is a destroyer of illusion and illuminator of truth. It doesn’t matter what you want to change or realize, Magick can typically effectuate results in just a few sessions. The results of his work today are often nothing short of miraculous. Learn more about Magick and his work, watch a video about him, and learn about all of his past trainings, accolades and experience. EXAMPLE (PHYSICAL HEALING): One client had a brain tumor in the language centers of her brain. As such she could not speak nor understand ANY spoken language, a condition called Aphasia. The Doctor said the condition would never change. After 30 minutes of silent transmission from Magick, the condition largely dissappeared forever (she could speak and understand about 90% perfect English). Upon the next brain scan the following week, the tumor was half its size. EXAMPLE (MENTAL HEALING): Once Magick assisted someone to heal from a 10 year struggle with Schitzophrenia in just 2 hours. In the nearly 10 years since, he hasn’t had another episode. Another client had such an intense fear of flying she was literally terrified. The night before a flight she had a session with Magick and flew the next day, and ever since, with ease. EXAMPLE (RELATIONSHIP HEALING): He worked with one couple who could barely speak in his presence without yelling at each other incessantly. There had been betrayal, lies and cheating. Once they started doing sessions together with Magick on skype, everything changed. They found forgiveness and began to get along peacefully. Many couples have come on the verge of divorce only to go on to happiness. And there are those who are in confusion as to whether to leave a marriage and need clarity. One lady had been in struggle for 8 years. Just 2 sessions Magick helped her find her own deep inner knowing about what to do, which was to leave. Then there were so many paralyzing fears and beleif systems in the way. Just 2 more sessions and she had the courage to act on her guidance and left easily and powerfully. These are just a few examples. They come in just about all categories. Imagine how this shamanic coaching could support you to change anything. Call now to set up a FREE 30 minute introductory session. Greg “Magick” Bernstein has a varied background in both the spiritual and material world that make him very unique. He has been professionally teaching and coaching advanced western change techniques & classes since 1996. He has also been experiencing the mystical, and practicing & teaching various forms of shamanism during that time. While at the same time, he has had massive success as an entreprenuer in his early life. To Magick, mastery includes all aspects of the material world as well as the world of spirit and multi-dimensional, non-dual reality. He lives a deeply spiritual life of continuously awakening and has had huge success in the world of matter as well. 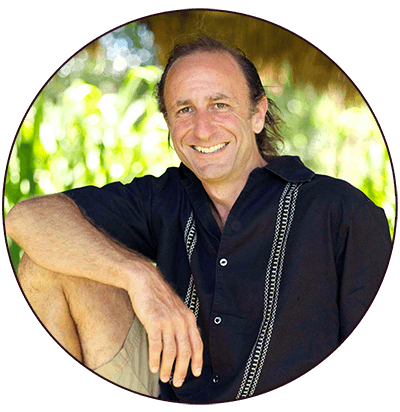 He has been working with people one-on-one for over 20 years with outstanding and often miraculous results in all areas of peoples lives. People who work with Magick find their lives quickly completely transformed. Check out what people are saying about Magick and his work..
Magick is often available for a phone or skype session, but only takes a very limited number of ongoing clients. Call or email for a FREE 30 minute introductory session. Send us a quick email to find if he is taking new clients now. Receive the Sacred Voyages Newsletter. Copyright © 2019 - Sacred Voyages LLC. All rights reserved.